Bishop is still wearing her wedding ring, while Jake wears out her phone battery by continually calling her. NCIS Season 13 Episode 10 took us on a trip to Emily's farm (among other things), where she spent her time silently splitting logs and smartphones. This, instead of talking out her troubles with the very people she came to see; the people from whom she was seeking comfort. 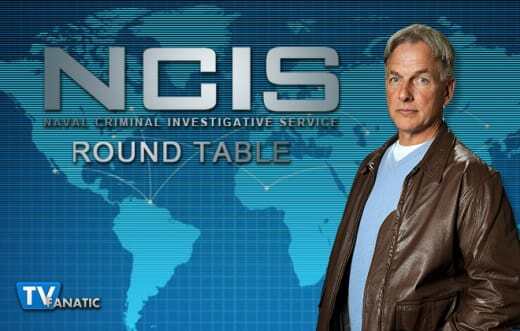 Join our TV Fanatic panelists David Taylor, Kathleen Wiedel, Christine Orlando and Douglas Wolfe as they discuss the case of the week, Bishop and more in our NCIS Round Table. How would you describe this episode in a word or a sentence? David: Bishop, bone marrow, and the Bionic Woman. Kathleen: Don't let a bad situation define you. Doug: Ring, ring ring – Ellie it's for you again. Jake called Bishop multiple times. Was this him putting in his dues until she takes him back, or was this him beating a dead horse? What will she do? David: Well, I remember I wasn't terribly sympathetic last week, but after Bishop spoke to the convict/potential donor, I realized she may very well be willing to talk or get counseling. Kathleen: I'd think even worse of Jake if he didn't call, though I'm not sure what he can possibly say to help the situation. I truly hope that they find a way to repair the massive rift he created by breaking their marriage vows, because, as Bishop said, those same vows mean something to her. This being television, however, I'm not holding my breath for a reconciliation and fully expect that a divorce is at hand. Christine: Like Bishop’s brother said, when two people are willing to work on it together a marriage can survive most anything. But Jake didn’t choose that. He broke their trust and I’m not sure it can be prepared. I couldn’t believe that he asked Ellie what he was supposed to do on Thanksgiving! At this moment, that’s the least of Ellie’s concerns. Doug: I appreciate that Jake kept calling. It was important for him to let her know he's still invested in their marriage. Anything less would have sent an "I couldn't care less" vibe. At the end of the day though, he not only cheated, but he lied about his remorse. That became clear when Bishop called him out by asking him "where were you last night?" 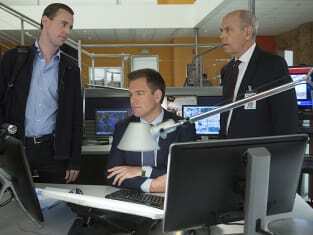 (in NCIS Season 13 Episode 9) The damage has been done, and she can no longer trust him. There's not even a starting point for building that trust again. David: Not the most intense of cases, and I felt sorry for that poor mother who kept losing children one by one. I think it was probably meant to be "filler" so that we wouldn't get too invested, and instead focus on the "real" story – Bishop's separation from Jake. Kathleen: It felt a little like Saving Private Ryan, didn't it? Though I totally predicted that the missing brother would either (a) be a match but not be up for a marrow transplant due to his injuries, or (b) not be a match, as turned out to be the case. Wow, wasn't it a good thing they were already working on convincing the other guy to donate? Christine: Like David, I was heartbroken for the mother who had to endure so much. I kind of liked that the only match turned out to be in Leavenworth and they had so little leverage to get him to do the right thing. I also loved watching Tony and Fornell working together back home. They actually make a great team. Doug: Fornell and Tony were the only compelling (and hilarious) parts of that case of the week. I found the case to be otherwise dull and of little consequence to anything. David: Lindsay Wagner. OK... if you need a scene, her character wishing Ellie would have stayed in Oklahoma and been a teacher or a nun made me laugh – schools are not the safest of places these days. And there was also the sibling banter, which was cute. Kathleen: I, too, enjoyed the sibling banter between Ellie and her brother. We don't often get to meet siblings on shows like this, especially well-adjusted siblings with good relationships! It was endearing how he wanted to give Jake a piece of his mind. For individual moments in this episode, I loved how Ellie put the ax in her phone when Jake called! Christine: Yes Kathleen. I loved the ax to the phone too. But my favorite was probably Bishop and Gibbs’ conversation on the front porch. That she called him out on encouraging her to talk about it and then he opened up about talking to Taft. I really enjoyed how Bishop and Gibbs’ relationship grew during this episode. Doug: I'm with Christine. That front porch chat between Gibbs and Bishop showed an evolution to their relationship. I like how she called him out on his advice, and he met her with some candor. It was a good moment. I also like how he told Bishop's mother that he was going to take care of her. That was a parent to parent moment that's important to their (Bishop and Gibbs) relationship too. What were the problems, if any? 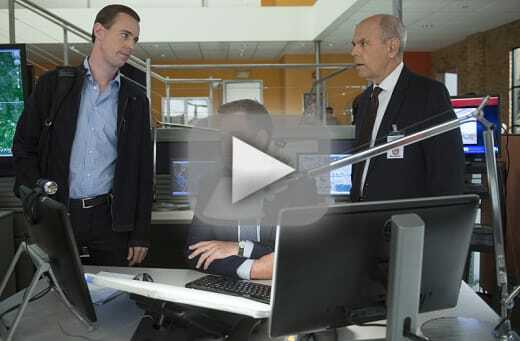 David: Doug already mentioned one such thing in his NCIS Season 13 Episode 10 review: finding Sean's predecessor via facial recognition in a matter of seconds. Another irksome moment was DiNozzo and McGee at the storage facility; considering that a man who could potentially save his brother's life may have been critically wounded, they sure approached the storage bay at a rather leisurely pace. And then there's Bishop's last attempt to get the potential donor to change his mind with the "new beginnings" speech – she may as well been talking to herself in the mirror, a plot device we're not unfamiliar with. Kathleen: David covered my biggest complaint (the magic facial recognition software), but I would also like to add that I found Fornell oddly unmoved by the death of a fellow FBI agent he presumably knew! I wasn't expecting waterworks or anything like that, but perhaps a little more overt anger? Anyone? Bueller? Christine: I kept waiting for Bishop to talk about the how the sister of the poor guy with leukemia was just killed in Kandahar and about how their mother was losing her kids one by one. I’m not saying it would have worked but how could they not at least try to pull at the guy’s heartstrings to get him to donate his bone marrow? Doug: Since I already covered the problems in the review, I'll just add that the writer could have made the case of the week more compelling had we had a chance to get to know that family more. Say, over the course of two episodes. It would have allowed us to become invested in them, and in the outcome of the hunt for the brother.